Steampunk style appeared long ago and is actively used in many post apocalyptic games and movies. 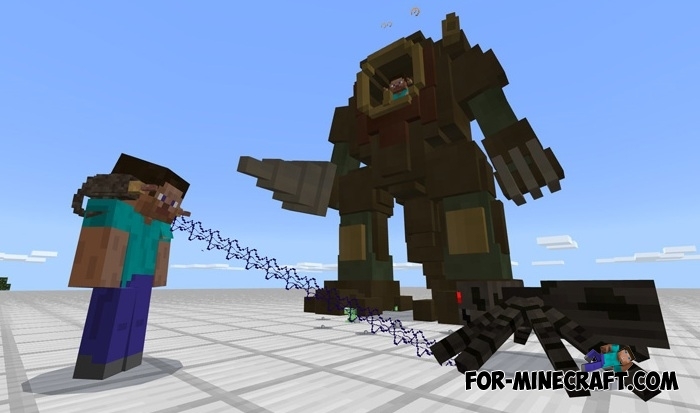 The creator of this addon was inspired by this and built a huge monster that is controlled by the player. In appearance it looks like a giant exoskeleton inside which is a place for the pilot. If you sit in it, you can quickly move and jump high but there is also a flaw. The exoskeleton does not have a weapon, so beware of the attack of mobs or put on this laser cannon. This weapon will be worn on your shoulders and most importantly it is capable of independently identifying enemies and attacking them without your permission. Hardly anyone can approach you close enough in the upper world of Minecraft. How to install the Steampunk Monster addon? 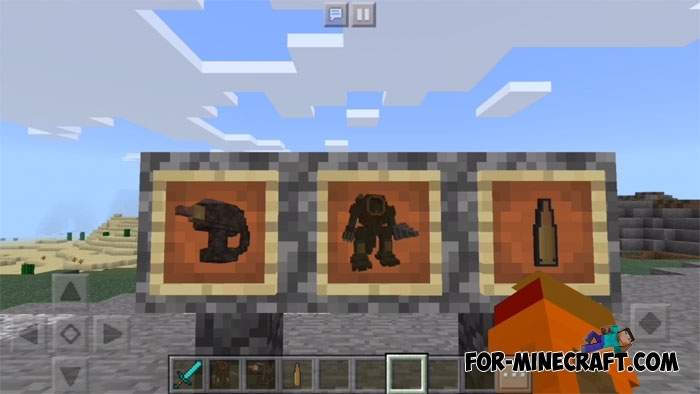 Mechanical Exoskeleton v4 for Minecraft PE 0.17.0/1.0.5Forget the usual armor, an iron exoskeleton will now be your best protection..